The good news is that OSU baseball had its most successful season under coach Greg Beals. The Buckeyes qualified for the NCAA Tournament and won a Big Ten title of any kind (tournament or regular season) for the first time since 2009 and won the Big Ten Tournament for the first time since 2007. Six Buckeyes were drafted, the most since 1998. That’s the good news, and it is legitimately good news. The bad news is they finished third in their NCAA regional, knocked out by an in-state foe with no particular history of being a quality baseball program (Wright State); the six drafted players are part of a mass exodus of talent that will leave the 2017 team with little returning production; and the relative success of the season should solidify Beals’ position. I am not the type of fan that roots for my team to lose because I think that they would be better off if the coach was fired, or other similar reasoning (given the perverse incentives created by pro sports drafts, it may some times be in the team’s best interest to lose, but that never applies to college sports). So the last bit of bad news is worth it given a new trophy for the case. Nevertheless, it remains a cost associated with the season. At first, it did not appear as if this would be the best season of Beals’ tenure. While OSU embarked on Big Ten play with a 12-6-1 record, it was not particularly impressive given the quality of competition. 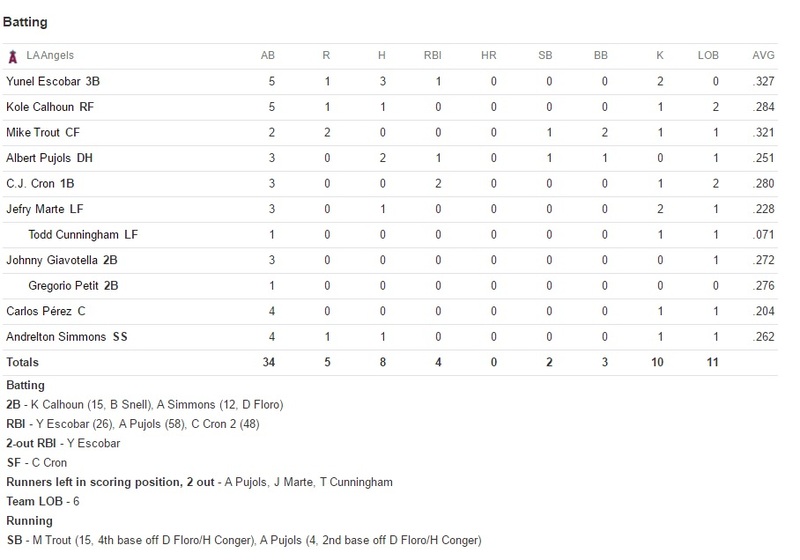 OSU took two out of three at home from Northwestern in the first Big Ten series, needing a come-from-behind walkoff homer to pull the series out on Sunday (Northwestern would finish twelfth in the Big Ten at 7-17). The Bucks were then swept at Maryland, won a home series against Rutgers and lost a series at Illinois to sit at 5-7 halfway through the Big Ten schedule. Both road series featured memorable losses. In the second game against Maryland, John Havird took a no-hitter into the ninth, but was pulled with a 1-0 leading and 98 pitches after plunking the leadoff hitter. Maryland pushed across the run without the benefit of a hit, giving OSU a combined nine no-hit innings, but two hits lead to a Terrapin run in the tenth and a 2-1 loss. The opener against Illinois wound up as a 1-0 loss in fifteen innings on a wild pitch, in a game in which Illini starter (and future Baltimore first rounder) Cody Sedlock was allowed to make 132 pitches in 10 2/3 innings (one of Beals’ redeeming qualities as a coach is that he rarely pushes the envelope with his pitchers--Tanner Tully was done after 9 and 106 pitches). The Buckeyes opened the second half with a sweep of hapless (2-22) Purdue, then won a home series from Iowa and swept Michigan at home to get to 13-8, technically still alive in the conference race heading into the finale at Minnesota (first place at 15-5). The Buckeyes won two out of three, finishing 1.5 games behind the Gophers and 1 behind Nebraska, tied for third with Indiana. At this point it could be noted that OSU had a favorable Big Ten schedule; only three of the thirteen teams finished under .500 in conference play, and OSU played all of them (Purdue, Northwestern, Rutgers), while not playing Nebraska or Indiana. The Buckeyes opened the tournament with a win over Michigan, but melted down in the ninth inning against Iowa by coughing up a 4-0 lead before losing in ten. Their next contest with Michigan was delayed by weather, forcing the Buckeyes to beat both Michigan and Michigan State on Saturday to stay alive. On Sunday morning, the Buckeyes beat MSU again to claw back through the loser’s bracket, into the winner-take-all final against Iowa that afternoon. The Bucks led 7-4 going into the eighth, but Iowa scored three to tie it. This time, OSU would answer with a run in the ninth and hold on for an 8-7 win to cap a remarkable two days of baseball with a long overdue championship. OSU was made a #2 seed of the NCAA Tournament, but was deemed one of the weaker #2s and placed in a bracket with #2 national seed Louisville, #3 seed Wright State, and #4 seed Western Michigan. In a recurring tournament theme of losing leads, the Buckeyes opened up 5-0 on the Raiders through three before allowing two in the fourth and four in the fifth. WSU’s 6-5 lead held until the Buckeyes rallied for two in the ninth and a 7-6 win. Alas, Louisville’s offense proved too potent, burying the Bucks 15-3, and WSU extracted revenge with a 7-3 win that ended OSU’s season at 44-20-1. OSU lead the Big Ten (all games) in W% at .688, was a close third in EW% at .676 (Minnesota led with .685), and was second in PW% (.679 to Minnesota’s .728). OSU had a balanced team, finishing third with 5.83 R/G and fourth with 3.98 RA/G (although it should be noted that Bill Davis Stadium appears to be a solid pitcher’s park). OSU was not a strong fielding team, with a .951 mFA compared to a conference average of .946, and more importantly a below-average DER (.675 to .681 average). OSU’s offense was power-driven, leading the conference with 57 homers and a .151 ISO and a slightly above-average .348 OBA. Beals rode junior catcher Jalen Washington hard; Washington appeared in 63 of 65 games and created 4.3 RG. Junior Jacob Bosiokovic bounced back from injuries as the primary first baseman, creating 5.9 RG on the strength of power (11 homers, .213 ISO) rather than on base skills (.335 OBA). He was drafted by Colorado in the 19th round. Troy Kuhn settled back in at second base, but had his worst offensive season of three as a starter as a senior (just 4.3 RG). L Grant Davis struggled mightily at the plate (.194/.257/.256 in 151 PA), requiring OSU to sacrifice defense for offense at the keystone. Nick Sergakis was third on OSU with 13 homers and was second on the team with 8.8 RG and +26 RAA with a .332/.420/.542 line, enough to be a 23rd selection by the Mets (Sergakis played three years at OSU after transferring from this year’s national champions, Coastal Carolina). Shortstop Craig Nennig, who Beals’ refusal to pinch-hit for was a running frustration of mine, made that less of an issue by turning in the best offensive season of his career, although .256/.313/.366 on the strength of five longballs hardly erased any concerns about production. The outfield was led by junior Ronnie Dawson, who while productive in his first two years really played up to his potential with a team-high 13 homer, 9.3 RG, +32 RAA, .331/.415/.611 season that netted him several All-America honors and a second-round selection by Houston. Classmate Troy Montgomery had a fine season in center, hitting .297/.420/.466 for 7.7 RG and +20 RAA and was drafted in the 8th round by the Angels. Right field was filled by a combination of Bosiokovic and sophomore Tre’ Gantt, who couldn’t match the production from his freshman season (.255/.311/.314 for 3.6 RG in 158 PA). Freshman Brady Cherry started the year on fire at DH with five homers, but settled into a .218/.307/.411 performance over 143. Senior Ryan Leffel (.205/.283/.301 in 96 PA) took some of his playing time as the year went on. Zach Ratcliff hit better than them early (.268/.362/.341 in 52 PA), but an injury ultimately resulted in a medical redshirt. The pitching staff was anchored by junior Tanner Tully, who continued to be the perfect image of a finesse lefty with a 3.18 RA, 3.31 eRA, 1.9 W/9, 6.5 K/9, +19 RAA over 108 innings season. Tully was picked by Cleveland in the 26th round. Senior John Havird made it two lefties at the top of the rotation, pitching solidly (4.50 RA and +2 RAA, but 3.91 eRA and 5.8 K/1.5 W in 94 innings). Sophomore Adam Niemeyer was the #3, with similar results to Havird (4.56 RA for +1 RAA, 4.37 eRA, 8.9 K/1.5 W in 71 innings). As you can see, the strength of OSU’s starters was avoiding free passes. Freshman Ryan Feltner was the most frequent mid-week starter (11 starts out of 20 appearances) and wasn’t bad for a freshman (4.72 RA for 0 RAA, 5.67 eRA, 8.0 K/3.9 W in 69 innings). Senior transfer lefty Dalton Mosbarger got a few mid-week, limited inning starts (5 of 13 appearances) and was effective (3.31 RA for +5 RAA, 4.11 eRA, 8.3 K/4.1 W in 33 innings, in addition to his 35 PA as a reserve outfielder). Sophomore transfer Austin Woody rounded out the starters (3 of 19 appearances, 6.92 RA for -10 RAA, 7.75 eRA, 6.7 K/4.2 W in 39 innings). OSU’s bullpen was terrific, with four key relievers chipping in. Sophomore Yianni Pavlopoulos was closer out of the gate despite just nine career innings and a medical redshirt in 2015, and recorded 14 saves and solid performance numbers (3.03 RA, 3.72 eRA, 10.3 K/3.3 W in 30 innings). Sidearm sophomore Seth Kinker was the workhorse, making 38 appearances and pitching great (1.98 RA for +17 RAA, 3.27 eRA, 7.4 K/1.6 W over 55 innings). Senior Michael Horejsei’s LOOGY role expanded a little, but not too extensively, working 31 innings in 34 appearances with a 3.19 RA, and excellent 1.93 eRA and 11.3 K/2.6 W). His selection in the 21st round by the White Sox as a situational reliever capped a remarkable career arc for a pitcher who began his college career at a regional campus (OSU-Mansfield) and had just 26 career innings entering 2016. Finally, sophomore Kyle Michalik chipped in +9 RA with a 2.25 RA, 2.29 eRA, 5.1 K/1.4 W performance over 32 innings, but was definitely fourth on Beals’ bullpen pecking order. Other pitchers who saw action include junior Joe Stoll and freshman Conor Curlis, who will presumably compete for the LOOGY role next year. While 2016 was a measured success, the outlook for 2017 is murkier. 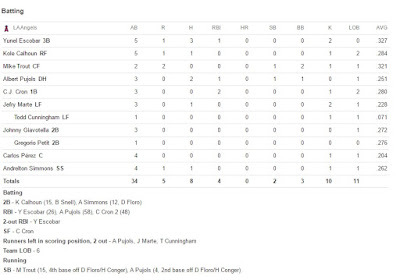 OSU had a total of 84 offensive RAA contributed by individuals--83 of those contributed by non-returning players (1B Bosikovic, 3B Sergakis, LF Dawson, CF Montgomery). Additionally, OSU must replace Kuhn at second, Nennig at short (who was a very good fielder, at least to this observer’s eyes), and Leffel at utility/DH. It will essentially be a new offense and it will lack any proven plus performers. The rotation will lose two of its top three, but profiles as a more likely strength with Niemeyer and Feltner as two obvious members. To the extent that college bullpens can be predicted, OSU is well-positioned for 2017. However, my concerns regarding player development were only slightly allayed, and Beals’ tactics may have been toned down a little bit (even he could see that he had power and should probably give away fewer outs on the bases), but one season does not a program make. It’s a positive step, at least, which is more than can be said for most of the previous seasons of Beals’ tenure. And that’s the good news. Mike Trout, the center field player, made a point in the match by "stealing" 4th base.